Like death, taxes, and Fast and the Furious sequels, utility bills are one of the few certainties in life. Though, similar to the wildly disparate real estate prices around the country, what people pay for their electricity, cable, gas, and other staples every month is all over the place, depending on where they live. 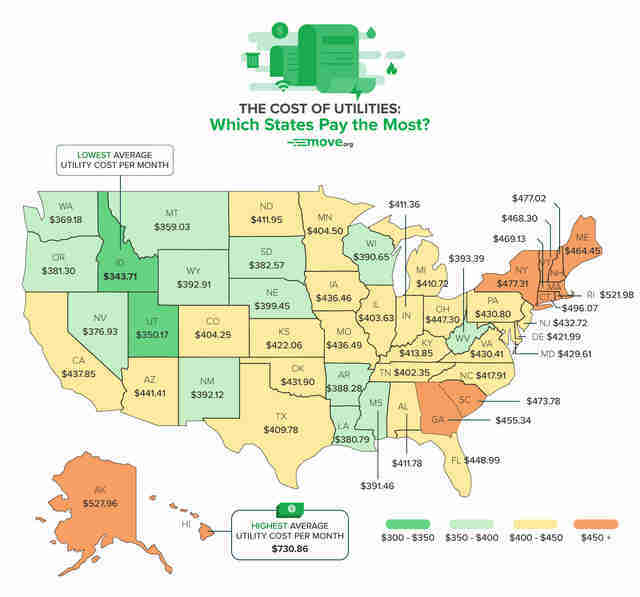 Now, how much these prices vary from from coast to coast is a bit clearer, thanks to a new map that reveals the average cost of monthly utilities in every state. The enlightening new visual and accompanying report comes courtesy of the team at moving resource site Move.org, which did some digging to determine the average monthly cost for electricity, natural gas, internet, cable, and water in every state, and ranked their findings accordingly from least to most expensive. Specifically, they looked at data from the US Energy Information Administration for intel on electricity and natural gas, as well as stats from cost of living site Numbeo on the cost of a mid-tier internet service. Since state by state information was unavailable for cable and water, they instead factored in the national averages for those ($100 and $40 per month, respectively). Topping the list as the most expensive state is Hawaii, where residents pay a whopping $730.86 per month on average for access to basic resources. Conversely, things are cheapest for people in Idaho, where the average utility bill is roughly half that at $343.71 every month. Nationally, the average is $422.08. Here's how the list of the 10 priciest and 10 cheapest states shakes out. Since these are statewide figures, it's very possible that you pay significantly more or less in the city where you reside, but it's still interesting to see the trends in geographical terms. 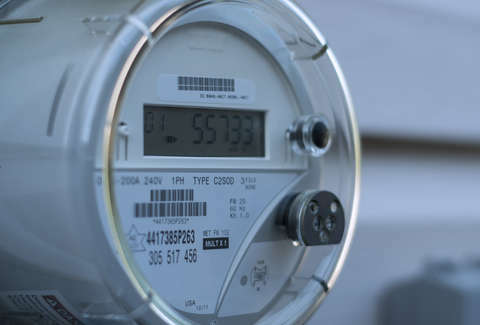 You'll notice all of the states in New England (plus New York) are among the priciest for utilities, which can be attributed almost entirely to significantly higher natural gas or electricity costs in those areas. Compare those averages with the relatively cheap monthly prices for states in the West, Pacific Northwest, and South and the difference is $50 or more every month. That's nothing to sneeze at, especially when you're trying to scrounge together some savings. Then again, even in the priciest states there are at least some cities where your paycheck stretches quite a bit further than it would otherwise.